The FOX milling machine combines the most advanced technology and know-how resulting from 65 years of design, manufacture and distribution of milling machines, reflected by the more than 1000 gantry milling machines sold over the last 25 years. This is a CORREA milling machine with fixed bridge and mobile table, which, thanks to detailed analysis, combines machine-welded and cast structural elements and mixed guiding system of linear and friction guides, providing a solid balance between rigidity, damping capacity and precision. 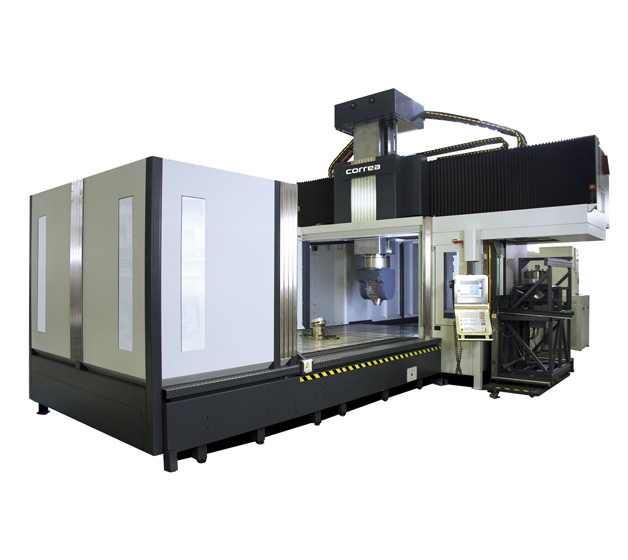 This in turn grants it extraordinary flexibility, enabling the execution of a wide range of both roughing and finishing tasks, supported by its wide range of latest generation heads, that permit executing milling, turning and boring tasks.